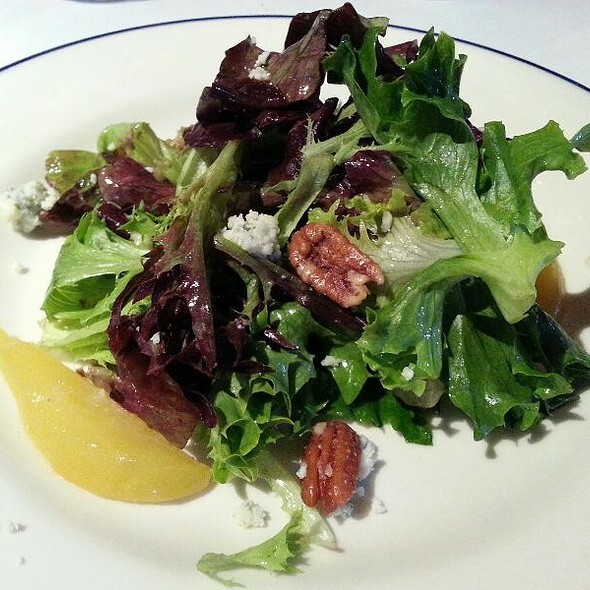 Blue Ridge Grill is an American Grill in a mountain lodge setting - specializing in fresh seafood and prime hickory-grilled steaks, with a focus on local farm-to-table ingredients and an award winning wine cellar. 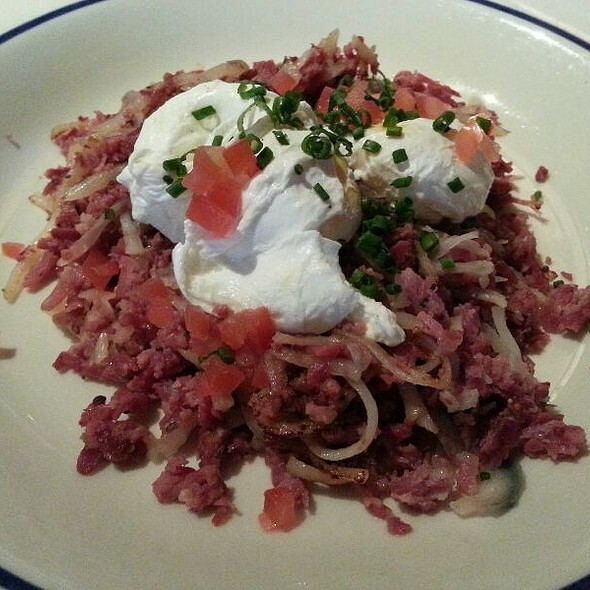 We will be serving Brunch from 10:00AM - 3:00PM & Dinner from 5:30PM - 9:00PM on Easter Sunday. The salads were very good. The fish entree a very good rating as well. The " wet quarter chicken " was a one star entree. Akin to low end banquet dinner. Should have sent it back. Drop the wet chicken dish. It is not satisfactory and unworthy of the setting. Overall enjoyed. My company and the salads saved the night! Will return yet know what to avoid. More earnest eye contact help from the primary server would have been a plus. Never should he have endorsed the wet chicken. Great we really had a wonderful time . Shannon gave exceptional service. The food was outstanding and they were able to accommodate a last minute seat change. As always, I thorouhly enjoyed dingin at Blue Ridge Grill. they had a new menu item, grilled octopus, which I tried. It was mushy and didn't seem fresh, so I had to send it back to the kitchen. They took it off of my tab. 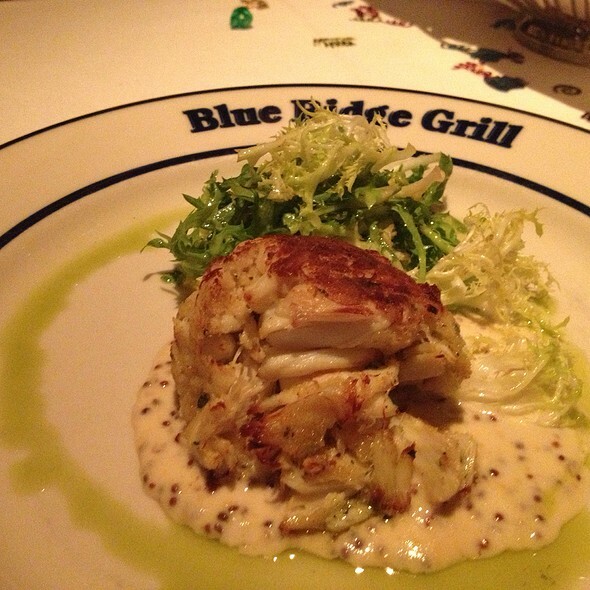 I ordered and ate a crab cake, instead, which was delicious. I love Blue Ridge Grill because of the food and service, but also because the dining room has many choices of table, some by windows, some by the bar, some inside, some in corners. It is a very pleasant place to have a meal. We had a repeat foursome from a few weeks ago because we had enjoyed ourselves so much, and it was just as good this time. Excellent meals well prepared and presented, entrees and desserts especially. The lobster roll was a special highlight. Our waiter, Roland, was helpful, knowledgeable, and absolutely delightful and added immeasurably to what was overall a wonderful experience. We enjoy celebrating major events in our lives at the Blue Ridge Grill. 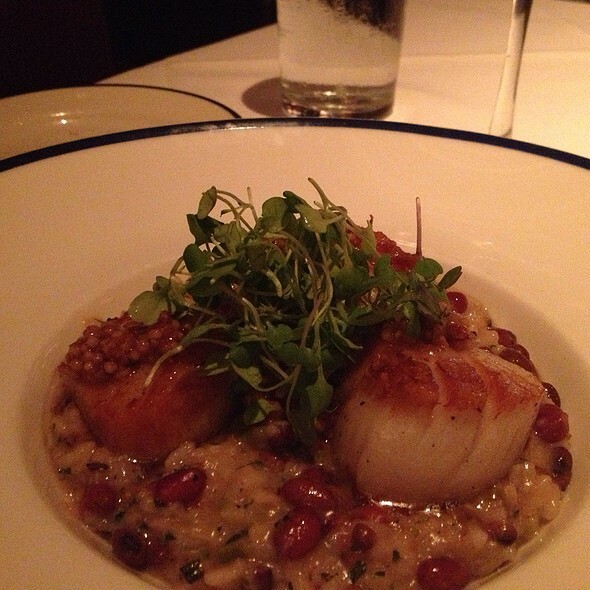 Consistently enjoyable food and extraordinary service in a very comfortable environment. Amazing experience! We were celebrating and they even personalized our menus. The mashed potatoes and brussel sprouts sides were incredible and the steaks were cooked perfectly. Love! Delicious swordfish - one of the best servings of this difficult-to-get-right fish ever! I love Blue Ridge Grill. My top go to restaurant in Atlanta and the neighborhood. Service excellent. Birthday celebration wonderful, food fair. We were sorry there were no fish specials, but everything we did order was delicious. Great anniversary dinner, I should have skipped the salad because I had no room for dessert. 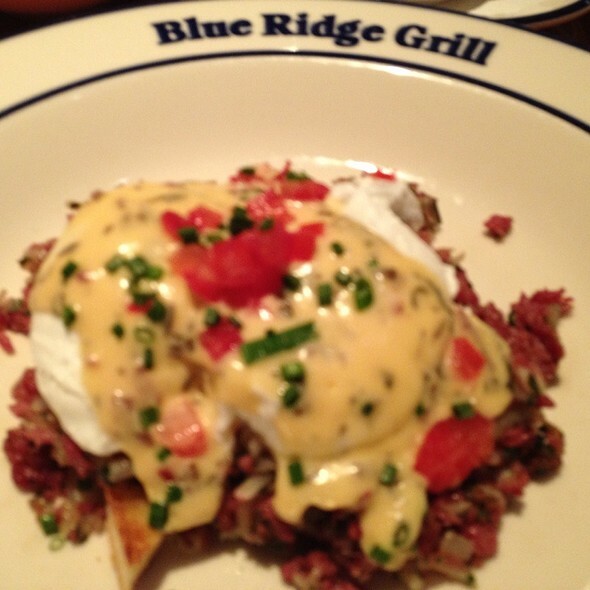 Recently made our first visit to The Blue Ridge Gril and what a great restaurant. The beautiful decor and ambience greets you as you enter. The bar is charming. The staff is professional and friendly. My husband and I had excellent fish entrees with light vegetables, both were excellent quality dishes. We were treated to a three layer ice cream cake as it was our anniversary. Thank you! All around top notch experience. We will return to the Blue Ridge Grill. Service was excellent and food was outstanding. Busy but they kept us informed and moving. Not a place to go on a really tight timeline, but it was great otherwise. Good food, pleasant atmosphere- inside looks better than outside. Halibut and veal were outstanding. Valet parking required. Solid but perhaps not worth a special trip across Atlanta. Our meal was delicious as well as the service from Brian, our server. I have dined at the bar before and will certainly be back with guests in the dining room. It’s such a pleasure to find such a consistently delicious restaurant. Thank you! We went for our Anniversary and the experience was fantastic. They took very good care of us for our 4th wedding anniversary! My party of 4 had the braised beef ribs, the trout, the lobster sandwich, and the pork chop. All were wonderful. The staff here is exceptional. Great ambiance and food made for a great evening. Great food. Service was a little less active then previous visits but is usually great. 30 minutes behind on our table with a reservation, 2 salads and a Octopus took 20 minutes then came out cold, loved this place but will now be a while before we return. This place just gets better with age. Patrick, the manager, runs a great crew. Great chef, good wine list, courteous and attentive service. Been going for years and it just gets better. It was a delightful evening. The service was excellent, food very good. One of the loviest places in Atlanta! The service is impressive and impeccable. The food is beautiful and outstanding! I love it here! And a great place to meet friends! Service was slow and the food was greasy and over cooked. Great atmosphere, service and food. I will go back, but not for a romantic evening! I love Blue Ridge Grill and always take my guests there. I don't think they know me there, but they always treat me like I am somebody! It really makes me feel good. 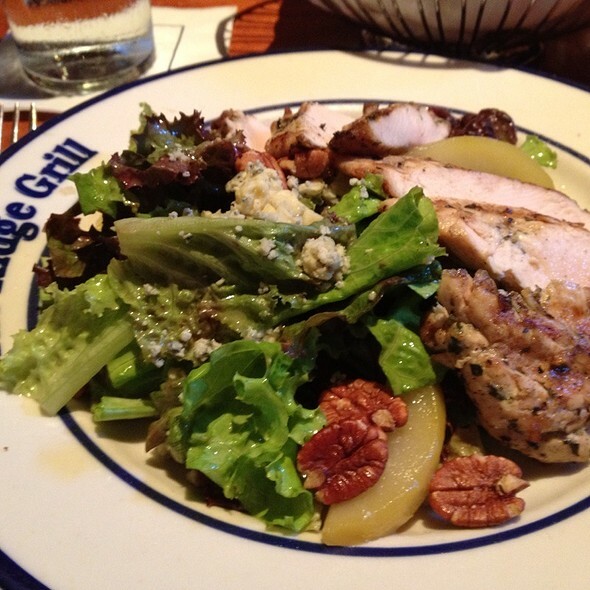 Just walking in to the Blue Ridge Grill is an aromatic experience -- you just know everything is going to be good. I really enjoy sitting on the porch with my guest and a drink prior to mealtime. 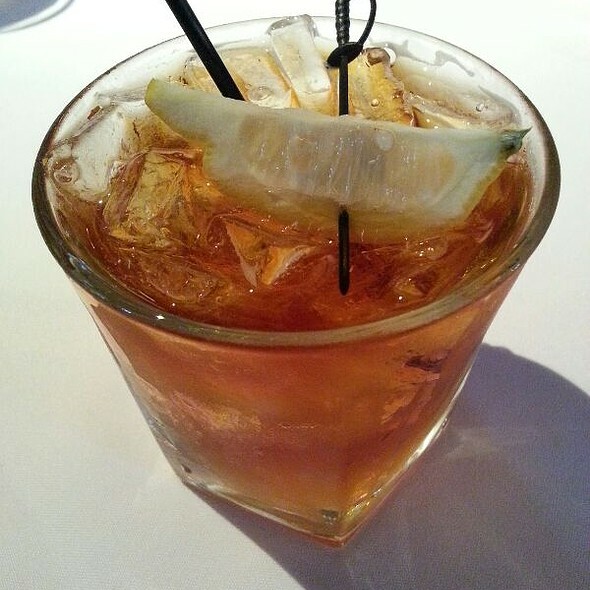 It's the perfect way to start a wonderful meal experience. The food is extraordinary and delicious. The service is almost invisible, in a good way. My water glass is never empty and the food arrives, and plates disappear so effortlessly, yet when engaged, the waiter is always lovely and personable. 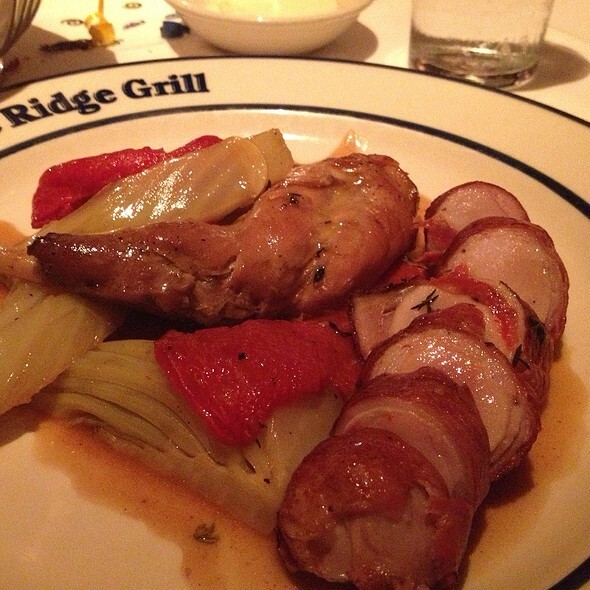 All-in-all, always a perfect experience at the Blue Ridge Grill. There was some construction (on the roof) going on when we arrived....so that was annoying, but other than that AWESOME AS USUAL. My husband and I moved to Atlanta 2 months ago, and Blue Ridge Grill was recommended to us by some friends. 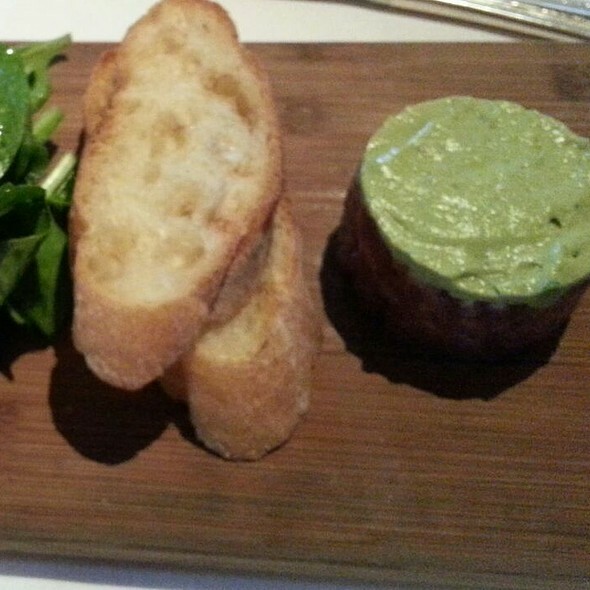 We were so impressed with the food, ambience, and the experience in general. A woman we met at the bar told us that she lives down the street from the restaurant, and the staff at BRG were like her family. You could tell she genuinely was thankful for the neighborhood feel that Blue Ridge provides. We will be back! What a fabulous experience! It started out with a perfect server named Raj. She was awesome. I have not seen this level of service in a long time. We brought in our bottle of wine and she was as good as a Sommelier in her wine knowledge. She was so professional and just delightful. Then came the food and it was amazing! We had everything from Grouper to filet to bone-in rib-eye to the the short ribs and nothing disappointed. The corn souffle was a hit as were the mashed potatoes and spinach. I felt the brussel sprouts were over cooked. This was the first visit for 3 of the 4 of us and we definitely will return. I hope Raj will be there as well. Phenomenal experience. Can’t wait to go back. I can’t believe I haven’t dined with you earlier. I’ve truly been missing out.